The right to asylum in the United States allows an individual who faces persecution or harm in their native countries due to political, gender, sexual orientation, race, religion, nationality or being a member in a given social group. These individuals are advised to apply for asylum within the first year of being in the United States with the United States Citizenship and Immigration Services as stated by the immigration law. Michigan immigration attorneys can help with asylum application and processes. They must also qualify to be termed as refugees. Individuals who are in the country illegally are also eligible for asylum. It is only under unique circumstances that one will be allowed asylum after one year and this circumstance is determined by an immigration attorney. The individual must present to the immigration attorney that political belief, gender, sexual orientation, race and the considered factors above that he/she is in fear of being persecuted for or is persecuted for. It must also be proven that the state in question could not prevent the occurrence of the harm. Call (248) 619-0065 today to schedule a consultation with an experienced Michigan immigration attorney or fill out our contact form. Pastor & Deromemaj serves the entire Metro-Detroit area. The individual or refugee can apply for asylum once they are in the United States or seek for asylum from the country's ports of entry (airport, seaport or border crossing). If the individual seeks for an asylum from the port of entry, the individual(s) are seized by the immigration officers until the first step of the application process is verified and complete. In the effort to obtain eligibility for asylum, the information filled on the asylum form plus an interview (conducted within 60 days after filing the claim) with the asylum officer or an immigration judge will determine if there is reason for asylum. If reason is not substantial, the applicant is referred immediately for deportation proceedings. In the event that an asylum is granted, the individual can live and work in the United States. This individual can in turn apply for a green card (permanent resident status) after living in the U.S for a year after they are granted asylum. Despite not having a limit to the number of asylum approvals, the state has a limit to the number of permanent residents arising from these individuals granted asylum. It is important to note that you do not need to pay a fee in order to file for asylum. 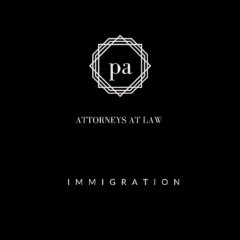 If you have any questions about your immigration status or would like to speak to a licensed and experienced immigration attorney, please call (248) 619-0065 today. The attorneys at Pastor & Deromemaj, P.C. have been successful at obtaining numerous asylum requests.